When you discover a new artist, you don’t just want to hear the song, you want to know everything—what their name means, where they’re from, how they started, what their process is like, which music they listen to. Whether their struggle was real or if they were an overnight sensation, it’s the stories that truly bring the music to life. To go further behind the scenes with emerging artists, Spotify is introducing the new wave of RISE, the artist development program that supports up-and-comers across genres and gives fans a glimpse inside their lives. While the first season featured new favorites like Lauv and Trippie Redd, Spotify is now focusing on country band LANCO, R&B artist Jorja Smith, Latin singer Karol G, and indie artist Rex Orange County. 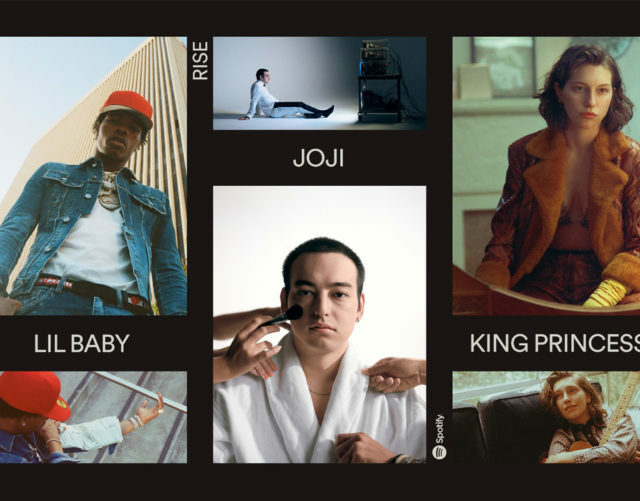 All of these unique stories will live alongside the music—plus you’ll start to see them on Spotify’s many owned and operated playlists and editorial channels, creating a variety of new potential discovery moments for Spotify listeners. Stay tuned for RISE short form documentary films (“24 Hours on the RISE”), original recording sessions with unique collaborators (“RISE Recordings”), live event activations, and collaborations on Spotify-optimized vertical videos. Read about our four new RISE artists below, and check out spotify.com/RISE to hear more from each RISE artist. In an incredible year of firsts, the “arena-rock leaning band” (Entertainment Weekly) LANCO became the first country group to debut on the Billboard Country albums charts at No. One in 10 years with their coming-of-age album, HALLELUJAH NIGHTS (Arista Nashville), which now boasts over 220 million digital streams. Additionally, this year’s two-time ACM nominated group is now the only Country band to achieve a PLATINUM single prior to a debut album release, with the two-week No. One “Greatest Love Story.” Following the multi-week chart-topping hit, their “foot-stomping new single” (Rolling Stone) “Born To Love You” proves LANCO is “well on their way to being reigning hitmakers,” (PopCulture). Named “the band to watch” by Bobby Bones, CMT, Entertainment Weekly, Hits Magazine, Pandora, Rolling Stone, Spotify, SIRIUS XM and more, LANCO continues “drawing in fans from across the globe” (Tucson Weekly) after touring the country’s top festivals such as Bonnaroo, Lollapalooza, Austin City Limits, Watershed and Faster Horses. Colombia’s Karol G is a soulful vocalist known for her exuberant mix of reggaeton, pop, and dance oriented R&B. 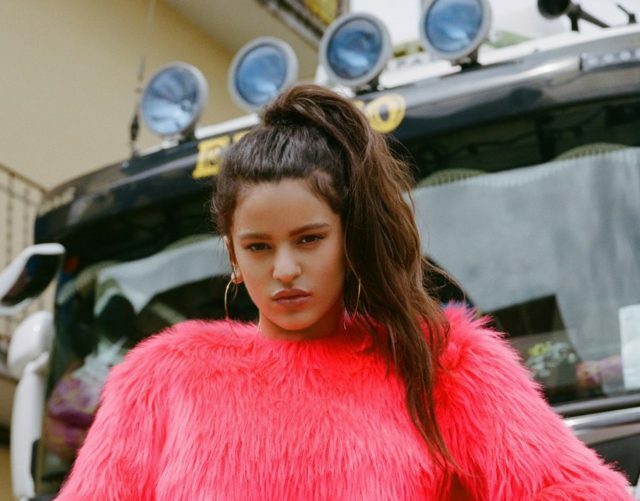 Born Carolina Giraldo in Medellin, Colombia in 1991, Karol G was interested in music from a young age, influenced by her father, a working musician. When she was 14, Karol G made her first appearance in the music industry through the reality show, X Factor. After high school, she studied music at University of Antioquia, and in 2012, she achieved her first number one hit worldwide with the song “301”, sparking tours in countries such as Venezuela, Uruguay, Panamá, United States, Puerto Rico, Aruba, Ecuador, Paraguay, and Colombia. The young singer/songwriter already boasts more than 1 Billion views on Youtube and more than 7 Million followers on social media combined. Most recently, Karol G released her debut album “UNSTOPPABLE” which debuted #1 on Billboard’s Sales chart, marking the biggest debut for a Latin Female Urban Artist in the USA in the last 2 years. Blending a way with words and elements of jazz, hip-hop, soul, and bedroom electronics into a sophisticated type of singer/songwriter fare, Rex Orange County is the performance alias of English Musician Alex O’Conner. Raised in the village of Grayshott along the border of Hampshire and Surrey, O’Conner studied music at the BRIT School in London as a teenager. His sweeping alternative pop songs weave together the mundane reality of teenage life and the epic fantasy that is teenage love — he takes his moniker from The O.C., a nod to the hyperreal and melodramatic. But Rex is no ordinary teenager: with the release of his second album Apricot Princess in April, he won acclaim from The FADER, The NME, and Noisey, before appearing on Tyler, the Creator’s Flower Boy , and performing live with Frank Ocean and Skepta. 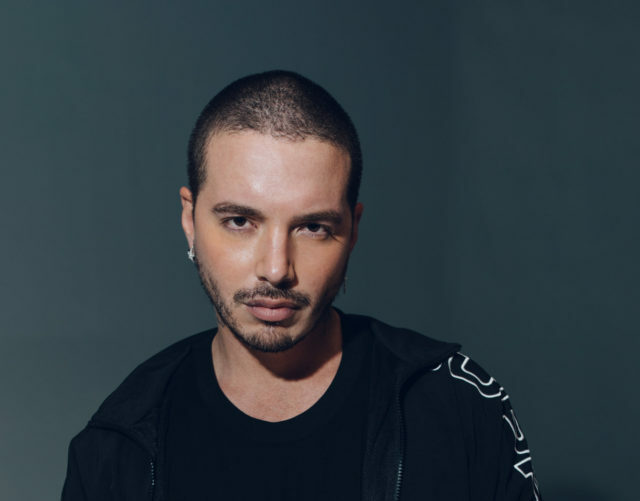 Gaining entrance on his main instrument, drums, he also sang and played guitar, and picked up piano and production software skills while working on his first album as a student there.